The beer giant ordered its Georgia brewery to prepare the water ahead of the late summer storm which had yet to make landfall at the time. The Cartersville, Georgia, facility switched over to emergency rations of water production at the behest of the Red Cross, according to Fox News. The company reports that over the last 30 years it has produced 79 million cans of water which had been sent to disaster areas. The latest production will be sent to staging areas in both North and South Carolina, the company said. The Cartersville facility also sent 500,000 cans of water to victims of Hurricane Harvey in 2017. Anheuser-Busch announced that its brewery in Fort Collins, Colorado, is also prepared to switch to water production if necessary. 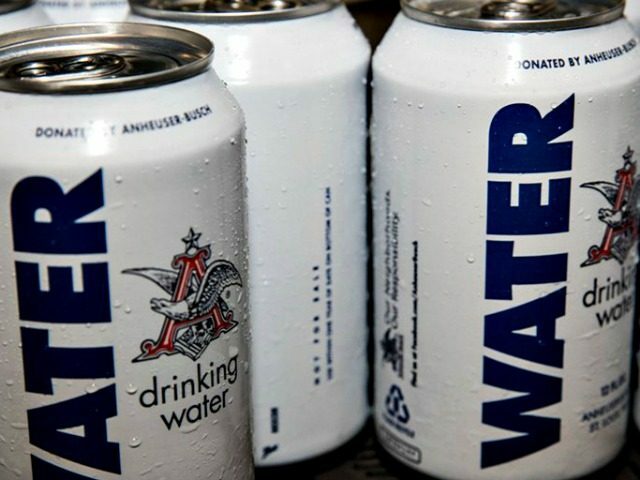 “For the last 30 years, we have been working with the American Red Cross and our wholesaler partners to provide clean, safe drinking water for communities hit by natural disasters,” said Michel Doukeris, CEO of Anheuser-Busch. Florence is currently a Category 2 storm swirling off the coast of the Carolinas.